One of the goals shared by many employers is to create more visual work environments. Visual work environments foster many benefits such as increased levels of safety, organization, production, and overall employee satisfaction. If a new employee has to wander around for nearly ten minutes in search of a restroom, that is a red flag that your business may be in need of a visual workplace overhaul. 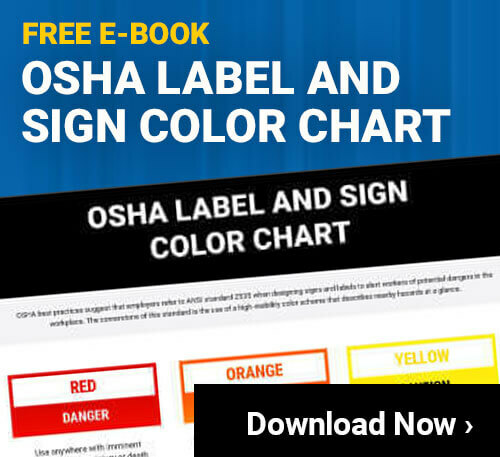 Many businesses implement the use of signs to warn employees about potential safety hazards, guide them towards specific departments, or to highlight washing stations, exits, etc. There are many uses for safety signs within the work environment. However, one drawback faced by many traditional signs is their ability to change. Once a sign is made and posted, if things change or are reorganized the sign must also be changed and reorganized as well. It’s crazy, but I once met someone who said his entire job was to simply move and adjust facility signage. Wow! A whole job dedicated to simply moving signs seems a bit trivial. Zolty complained that static signs eschew complex directions and information because they would need to be replaced if their content changes in the physical world. Same goes for public restrooms, landmarks, restaurants and public transit stops. Points is connected to the Internet and can therefore use RSS feeds and social media sites such as Foursquare and Twitter to help people find what is around them. This is very interesting and has the potential to be very beneficial in many different business sectors including industrial work environments. Even though industrial workplaces won’t necessarily benefit from information based on where the next Mariah Carey concert will be, they will definitely benefit by being informed of current changes and events happening in the work environment. For instance, say there is a large chemical spill in one department, a signage option such as “Points” could point in the direction of the spill and indicate a chemical spill and feature anticipated clean-up times. This would inform other employees that they need to avoid that area until the spill has been cleaned. Furthermore, some companies utilize motorized rover carts that operate based on a computer driver, these carts follow a specific floor path but still pose potential safety hazards. An electronic sign such as “Points” could point in the direction of incoming rover and warn employees of the oncoming hazard. Other things such as department changes, meeting locations, or even restrooms and wash stations could be identified and guided towards using this type of technology. However, even though the new technology of “Points” isn’t necessarily geared totally for the industrial work environment, it is exciting to know that the technology is available and may soon leak into other sectors as well.